Target, create, submit, and measure digital ad campaigns to build a brand that generates more local business. Do you want to generate more local business? Get your ad in front of the right people at the right time with Boostpoint algorithms that identify the audiences most likely to be your next customers. Stop worrying about whether you’re targeting the right consumers. Upload recent customer data or specify the area you’d like to do more business. Boostpoint’s algorithms refine that audience so your ads display to the most likely customers in those communities. So when a local consumer needs your services, your brand is the one they remember. Easily target neighborhoods where you are currently doing work. Grab the attention of the people that are mostly likely to become your next customers. Design ads from scratch or customize Boostpoint ad templates to engage consumers now so when an event happens and they need a local service, yours is the name they remember. Crunched for time? Not sure how to design an effective ad? Boostpoint takes the time and frustration out of building digital ads by letting you create and preview ads for multiple channels from one dashboard. Hit submit and Boostpoint publishes the ad to multiple platforms for you. One click and done. It really is that easy. Whether you’re a team of one or you want to spend more time working on your business instead of in it, Boostpoint’s super-streamlined ad submission process saves time so you can focus on the rest of your priority list. Submit your ads on behalf of your online business and social media profiles. Reach multiple channels from just one ad platform. Tap real-time reports on Boostpoint’s easy-to-read dashboard to take the guesswork out of running digital ads that work. From how many viewers saw your ad to how many clicked from ad to website, Boostpoint’s reporting dashboard makes it easy to monitor campaigns across multiple channels so you know your ROI, spend ad dollars more effectively, and make better-informed business decisions. Advertising no longer needs to be a guessing game. 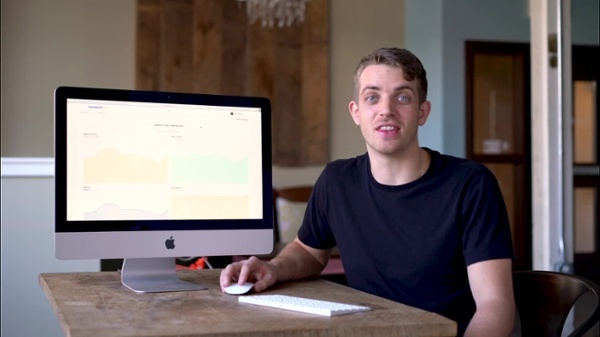 Track how well your ads are performing in realtime from our easy to digest dashboard. Sign up and connect your brand social media pages to Boostpoint in less time than it takes to make a latte. Quickly create consistent, cost-effective digital ad campaigns that put your business in front of the right people at the right time. Build the local brand name consumers remember when they need your services. Sam Beiler, co-founder and CEO of Boostpoint, a startup powered by Equipter®, has worked closely for more than a decade with contractors serving local markets. Now, he’s combined the digital experience he used to help Equipter grow into a national brand with his passion for helping small businesses simplify marketing so they can save time and money. Sam and the Boostpoint team developed this ad solution to empower contractors and other service professionals with a cost-effective, hassle-free way to grow their brands.